Lock in a great price for Frederics Berlin City Hackescher Markt – rated 8.9 by recent guests! There is small pantry inside the room which full equipped; oven, dishes, dish washer, sink... very good value. As well as washing machine at underground floor. Location is also close to main attractions. The room was nicely decorated and spacious. Also the location was the best! Beautiful room! Large space. Nice size kitchen! Heated floors in the washroom. Windows from ceiling to floor with curtains to match. High tech. Security cards to get into and out of building and room. The interior and its initial cleaning condition. Wifi Connection and the location. Excellent location with secure 24/7 entry. The hotel is very comfortable and provides you with more than most hotels in the area. Minutes walk from Hackescher Markt station and many cafes and restaurants. Excellent location near a train station. The apartment was spacious, modern and clean. Reception very helpful, got an early check in, room was beautiful, bed super comfy. The location is unbeatable, the bed is comfy and the apartment is clean in general. Frederics Berlin City Hackescher Markt This rating is a reflection of how the property compares to the industry standard when it comes to price, facilities and services available. It's based on a self-evaluation by the property. Use this rating to help choose your stay! 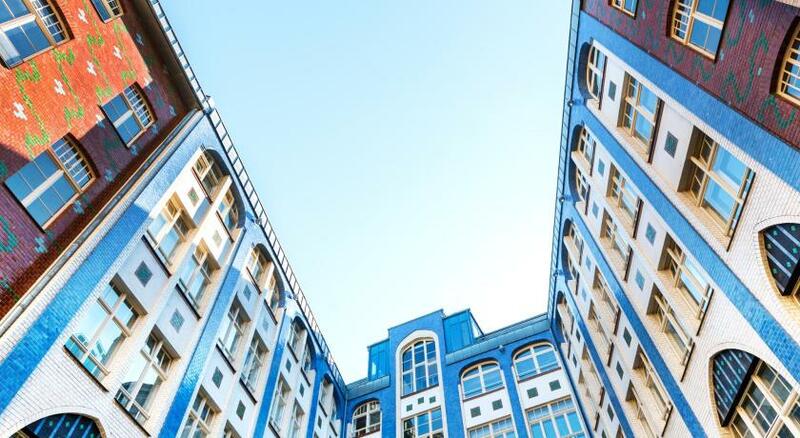 One of our top picks in Berlin.This apartment building is centrally located in the heart of Berlin's Mitte district. 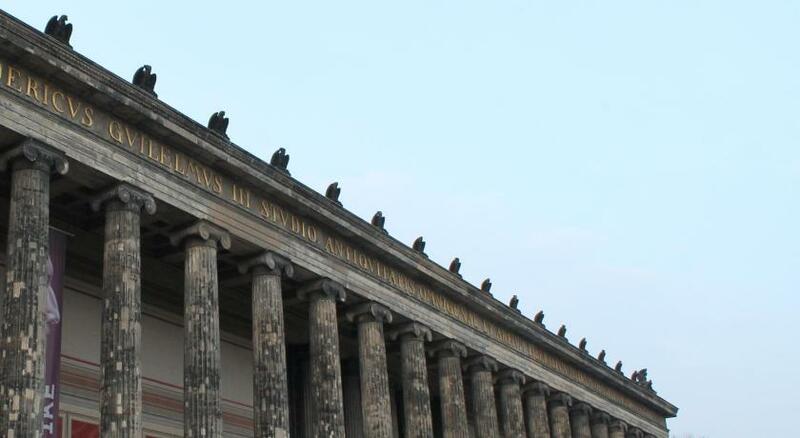 The modern building is within walking distance of the Hackescher Markt transport hub and nightlife district, the Friedrichstraße shopping street and the UNESCO Museum Island. Frederics Berlin City Hackescher Markt offers well-appointed and fully-furnished apartments of various sizes. Each apartment features elegant and spacious interiors, a bathroomswith a rain forest shower and heated towel rail, a large flat-screen satellite TV, WiFi and air-conditioning. Most of the apartments feature a balcony or a small terrace. Kitchenette or kitchen use is upon request. A front desk service is available throughout the day, but guests may also use a separate entrance at their own discretion. An intercom system for your privacy is also at your disposal. 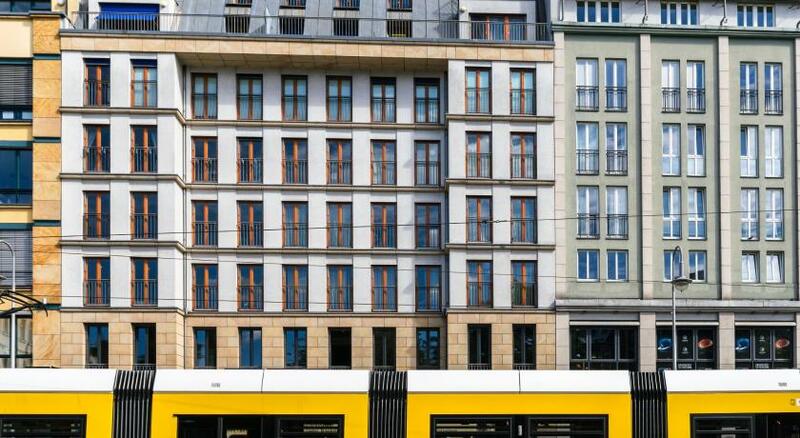 The accommodations provides easy access to underground trains, city train connections to Schönefeld Airport and to trams, while the bus from/to Tegel Airport also stops nearby. When would you like to stay at Frederics Berlin City Hackescher Markt? This room offers a flat-screen TV, wardrobe, writing desk and a bathroom with shower and heated floor. Some of these apartments are barrier-free. This medium-sized apartment offers a flat-screen TV, wardrobe, a combined dining/working area and a bathroom with shower and heated floor. A kitchenette can be used on request. Most of these apartments offer a relaxing armchair, and some also have a terrace. This medium-sized to large apartment offers a flat-screen TV, wardrobe, a dining area and a bathroom with shower and heated floor. A kitchenette can be used on request. Most of these apartments offer a relaxing armchair, and some also have a terrace. Some are also barrier free. This large apartment offers a bedroom with a flat-screen TV, wardrobe, a large dining area and a private bathroom with shower and heated floor. Some of these rooms also have a desk. A kitchenette can be used on request. Most of these apartments offer a relaxing armchair. This very large apartment offers a separate bedroom, a flat-screen TV, wardrobe, a large dining area and a bathroom with shower and heated floor. A kitchenette can be used on request. These apartments also offer a sofa and a relaxing armchair. House Rules Frederics Berlin City Hackescher Markt takes special requests – add in the next step! Frederics Berlin City Hackescher Markt accepts these cards and reserves the right to temporarily hold an amount prior to arrival. Private parking (for a fee) is to be found but a reservation is not possible, and is subject to availability. Please note there is a surcharge of EUR 2.50 (each time) for using the washing machine and EUR 1.50 (each time) for using the tumble dryer. Please note that the apartments are cleaned every 3 days and a full-service cleaning takes place every 7 days. Please note that breakfast is offered daily from 08:00 in a neighboring café, 350 feet away from the property. Please note that the use of the kitchenette/kitchen is not included in the room rate and can be requested on the premises at a charge of EUR 30 per day. 1. I forgot a powerbank battery in the room. Despite write them several times, I have not received an answer. 2. Lack of staff at night is problematic. Indeed, trying to check out early in the morning was problematic since they came in later. 3. Did not receive a receipt from hotel although they promised to email it. No Room Service No intercom to contact reception for any services Cleaning of room done ONLY once a week!! Towels changed after 3-4 days. Restricted use of Kitchen equipment and high charges applicable. No concierge Heavy fines on losing or misplacing Room key cards!!! Good location, staff did try to be helpful, but, in very limited spheres. Cleaning service only once a week. It would have been nice to have more shampoos and soaps in the room since there is no house keeping. Breakfast was offered at another location, at a nearby bistro. No intercom to contact the front desk. No daily cleaning. Restrictions on use of equipment in the room. Penalty clauses on Room key No proper concierge. Pedestrian path to the closest S bahn station is very rough. Not convenient for big luggage.